1. 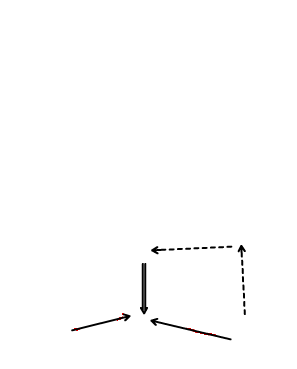 Forward passes to D and both forwards go to the net - one should stay wide for possible one-timer. 2. D makes D to D pass and D shoots or passes. 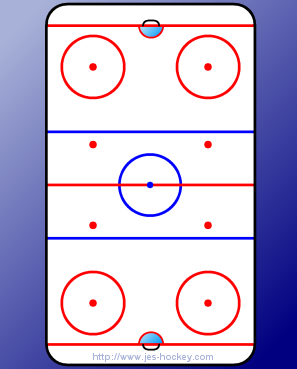 • Make sure if the Forward is setting up for a one-timer that they are on their off wing. 3. After the d shoots or passes he gets ready for a 2 on 1. 4. Forwards receive a pass from the line that didn't make the initial pass to start the drill. • Start the drill over at any time if a bad pass is made. • Make sure you do the drill on both sides of the ice for the same length of time. • D practice staying in the middle with an emphasis on not allowing a late pass - try and make the puck carrier shoot. • F practice creating width and/or depth in their attack.